In recent decades, policy across the country has privileged the biggest corporations. Yet a growing body of research is proving something that many people already know: small-scale, locally owned businesses create communities that are more prosperous, entrepreneurial, connected, and generally better off across a wide range of metrics. Here’s a roundup of the important findings that are putting numbers to the harms of bigness and the benefits of local ownership, and that policymakers can use to craft better laws, business owners can use to rally support, and people can use to organize their communities. Start-Ups These studies find that as the economy has become dominated by fewer and larger companies, there’s been a sharp decline in the formation of new businesses. Inequality These studies find that the increasing size of corporations is driving inequality, while local and dispersed business ownership strengthens the middle class. Economic Returns These studies find that local businesses recirculate a greater share of every dollar in the local economy, as they create locally owned supply chains and invest in their employees. Jobs These studies show that locally owned businesses employ more people per unit of sales, and retain more employees during economic downturns, while big-box retailers decrease the number of retail jobs in a region. Wages and Benefits These studies show that locally owned businesses are linked to higher income growth and lower levels of poverty, while big-box retailers, particularly Walmart, depress wages and benefits for retail employees. Studies in this section also quantify the costs of these big companies’ low wages to state healthcare programs and other forms of public assistance. Social and Civic Well-Being These studies find that a community’s level of social capital, civic engagement, and well-being is positively related to the share of its economy held by local businesses, while the presence of mega-retailers like Walmart undermines social capital and civic participation. Public Subsidies These studies document the massive public subsidies that overwhelmingly favor big businesses and have financed their expansion, and how this subsidized development has failed to produce real economic benefits for communities. Taxes Building on the studies included in the previous category, “Public Subsidies,” these studies examine the differing impacts of locally owned businesses and big-box retailers on public finances. They find that large retailers systemically tilt the playing field in their favor by skirting their tax obligations, as well as that locally owned enterprises generate more tax revenue for cities, with less cost, than sprawling big-box shopping centers. Existing Businesses These studies demonstrate how big-box retailers have significant negative effects on the number and vitality of nearby local businesses, in that they both lead to a loss of existing businesses, and contrary to the claims big-box retailers themselves often make, do not serve as a catalyst for new growth. Consumers & Prices These studies find that chains are not always a bargain. Interested in local economies? Check out more of our work, and sign up for our monthly newsletter so that you don’t miss our latest research. 1. START-UPS These studies find that as the economy has become dominated by fewer and larger companies, there’s been a sharp decline in the formation of new businesses that fuel economic growth. “Declining Business Dynamism in the United States: A Look at States and Metros.” Ian Hathaway and Robert E. Litan, The Brookings Institution, May 2014. Though start-ups occupy a large place in the U.S.’s present tech-fueled imagination, new business formation has in fact been in steady decline. This study from researchers at the Brookings Institution and Ennsyte Economics quantifies this decline, finding that during the three decades between 1978 and 2011, the share of firms less than one year old fell by nearly half. This slump has accelerated in recent years in what the authors term a “precipitous drop” since 2006, which they call “noteworthy and disturbing.” In fact, the authors find, “the number of business deaths now exceed business births for the first time in the 30-plus year history of our data.” The study determines that this trend isn’t geographically isolated, and that business dynamism has declined in all 50 states and in all but a handful of more than 360 U.S. metropolitan areas. “The Importance of Young Firms for Economic Growth.” Jason Wiens and Chris Jackson, Entrepreneurship Policy Digest, Kauffman Foundation, Sept. 14, 2015. This brief, which is a roundup of recent research, underlines the reasons why the decline in new business formation is so troubling. As the authors explain, young firms are the major contributor of new jobs. “New businesses account for nearly all net new job creation and almost 20 percent of gross job creation,” they write, adding, “companies less than one year old have created an average of 1.5 million jobs per year over the past three decades.” They link to several recent papers, such as two 2013 studies titled “How Firms Respond to Business Cycles: The Role of Firm Age and Firm Size,” and “Who Creates Jobs? Small Versus Large Versus Young,” that delve deeper into the economic and statistical analysis behind these findings. 2. INEQUALITY These studies find that the increasing size of corporations is driving inequality, while local and dispersed business ownership strengthens the middle class. “Wage Inequality and Firm Growth.” Holger M. Mueller, Paige P. Ouimet, and Elena Simintzi, LIS Working Paper 632, March 2015. “A Firm-Level Perspective on the Role of Rents in the Rise in Inequality” [PDF]. Jason Furman and Peter Orszag, Oct. 2015. This paper explores the possibility that a major factor driving economic inequality is corporate consolidation — the growing market share of a few big companies. The authors present data showing that a small number of firms now earn “super-normal” returns of roughly ten times the median return for all firms. This is up significantly since the mid-1990s, when the most successful companies earned about three times the median return. These “super-normal” returns, the authors suggest, could be the result of growing monopoly power that allows a few dominant firms to extract economic “rents,” or more income than they would earn in a truly competitive market. While the authors emphasize that their paper is not conclusive, they note that this hypothesis is consistent with data showing that much of the rise in inequality is due to an increasing disparity in how much workers, especially those at the top, earn at different firms in the same industry. That is, companies with super-normal returns are distributing those returns to both their shareholders and their top-level employees, helping to expand wage inequality. 3. ECONOMIC RETURNS These studies find that local businesses recirculate a greater share of every dollar in the local economy, as they create locally owned supply chains and invest in their employees. “Independent BC: Small Business and the British Columbia Economy” [PDF]. Civic Economics, Feb. 2013. Commissioned by the British Columbia division of the Canadian Union of Public Employees, this study analyzes the economic impact and market share of the province’s independent retailers and restaurants. With regard to economic impact, the study finds that, for every $1,000,000 in sales, independent retail stores generate $450,000 in local economic activity, compared to just $170,000 for chains. Among restaurants, the figures are $650,000 for independents and $300,000 for chains. Across both sectors, this translates into about 2.6 times as many local jobs created when spending is directed to independent businesses instead of chains. The study concludes that a shift of just 10 percent of the market from chains to independents would produce 31,000 jobs paying $940 million in annual wages to BC workers. With regard to market share, the study finds that while BC’s independent retailers captured just over half of all retail sales as recently as 2003, they have since lost ground. By 2010, independents accounted for 45 percent of BC’s overall retail sales and only 34 percent of the market with automobile and gasoline sales excluded. Although BC has a reputation for innovative planning initiatives, on this measure it lags the rest of Canada, where independents account for 42 percent of retail spending. Among restaurants, BC’s independent sector accounts for 72 percent of full-service dining and 19 percent of limited-service dining. “Indie Impact Study Series: Salt Lake City, Utah” [PDF]. Civic Economics, Aug. 2012. In this study, Civic Economics analyzed data from fifteen independent retailers and seven independent restaurants, all located in Salt Lake City, and compared their local economic impact with four national retail chains (Barnes & Noble, Home Depot, Office Max, and Target) and three national restaurant chains (Darden, McDonald’s, and P.F. Chang’s). The study found that the local retailers return a total of 52 percent of their revenue to the local economy, compared to just 14 percent for the national chain retailers. Similarly, the local restaurants recirculate an average of 79 percent of their revenue locally, compared to 30 percent for the chain eateries. What accounts for the difference? In a handy graphic, Civic Economics shows the breakdown. Independent businesses spend more on local labor, goods procured locally for resale, and services from local providers. This means a much larger share of the money spent at a locally owned store stays in the local economy, supporting a variety of other businesses and jobs. “Going Local: Quantifying the Economic Impacts of Buying from Locally Owned Businesses in Portland, Maine.” Garrett Martin and Amar Patel, Maine Center for Economic Policy, Dec. 2011. On a dollar-for-dollar basis, the local economic impact of independently owned businesses is significantly greater than that of national chains, this study concludes. Analyzing data collected from 28 locally owned retail businesses in Portland, Maine, along with corporate filings for a representative national chain, the researchers found that every $100 spent at locally owned businesses contributes an additional $58 to the local economy. By comparison, $100 spent at a chain store in Portland yields just $33 in local economic impact. The study concludes that, if residents of the region were to shift 10 percent of their spending from chains to locally owned businesses, it would generate $127 million in additional local economic activity and 874 new jobs. “Thinking Outside the Box: A Report on Independent Merchants and the Local Economy” [PDF]. Civic Economics, Sept. 2009. This study examined financial data from 15 locally owned businesses in New Orleans and compared their impact on the local economy to that of an average SuperTarget store. The study found that only 16 percent of the money spent at a SuperTarget stays in the local economy. In contrast, the local retailers returned more than 32 percent of their revenue to the local economy. The primary difference was that the local stores purchase many goods and services from other local businesses, while Target does not. The study concludes that even modest shifts in spending patterns can make a big difference to the local economy. If residents and visitors were to shift 10 percent of their spending from chains to local businesses, it would generate an additional $235 million a year in local economic activity, creating many new opportunities and jobs. Likewise, a 10 percent shift in the opposite direction – less spending at local stores and more at chains – would lead to an economic contraction of the same magnitude. Another noteworthy finding of the study is that locally owned businesses require far less land to produce an equivalent amount of economic activity. The study found that a four-block stretch of Magazine Street, a traditional business district, provides 179,000 square feet of retail space, hosts about 100 individual businesses, and generates $105 million in sales, with $34 million remaining in the local economy. In contrast, a 179,000-square-foot SuperTarget generates $50 million in annual sales, with just $8 million remaining in the local economy, and requires an additional 300,000 square feet of space for its parking lot. See our New Rules article for more background on this study. “Local Works: Examining the Impact of Local Business on the West Michigan Economy” [PDF]. Civic Economics, Sept. 2008. “The San Francisco Retail Diversity Study” [PDF]. Civic Economics, May 2007. This study finds that San Francisco remains a stronghold for locally owned businesses, which generate sizable benefits for the city’s economy. The study has three parts. The first calculates market shares for independents and chains in several categories: bookstores, sporting goods stores, toy stores, and casual dining restaurants. In all four categories, independent businesses capture more than half of sales within the city of San Francisco, a much larger share than they have nationally. The second part examines the economic impact of locally owned businesses versus chains. It finds that local businesses buy more goods and services locally and employ more people locally per unit of sales (because they have no headquarters staff elsewhere). Every $1 million spent at local bookstores, for example, creates $321,000 in additional economic activity in the area, including $119,000 in wages paid to local employees. That same $1 million spent at chain bookstores generates only $188,000 in local economic activity, including $71,000 in local wages. The same was true in the other categories. For every $1 million in sales, independent toy stores create 2.22 local jobs, while chains create just 1.31. The final part of the study analyzes the impact of a modest shift in consumer spending. If residents were to redirect just 10 percent of their spending from chains to local businesses, that would generate $192 million in additional economic activity in San Francisco and almost 1,300 new jobs. “The Andersonville Study of Retail Economics” [PDF]. Civic Economics, October 2004. “The Economic Impact of Locally Owned Businesses vs. Chains: A Case Study in Midcoast Maine” [PDF]. Institute for Local Self-Reliance and Friends of Midcoast Maine, September 2003. “Economic Impact Analysis: A Case Study” [PDF]. Civic Economics, December 2002. 4. JOBS These studies show that locally owned businesses employ more people per unit of sales, and retain more employees during economic downturns, while big-box retailers decrease the number of retail jobs in a region. “The Contribution of Large and Small Employers to Job Creation in Times of High and Low Unemployment” [PDF]. Giuseppe Moscarini and Fabien Postel-Vinay, American Economic Review, October 2012. “The Effects of Walmart on Local Labor Markets” [PDF]. David Neumark (University of California-Irvine), Junfu Zhang (Clark University), and Stephen Ciccarella (Cornell University), Journal of Urban Economics, March 2008. This study presents the most sophisticated analysis to date of Walmart’s impact on retail employment and wages. Analyzing national data, the study found that the opening of a Walmart store reduces county-level retail employment by 150 jobs. Because Walmart stores employ an average of 360 workers, this suggests that for every new retail job created by Walmart, 1.4 jobs are lost as existing businesses downsize or close. The study also found that the arrival of a Walmart store reduces total county-wide retail payroll by an average of about $1.2 million. This study improves substantially on previous studies by convincingly accounting for the endogeneity of the location and timing of Walmart’s entry into a particular local market. That is, Walmart presumably does not locate stores randomly. When expanding into a particular region, it may, for example, opt to build in towns experiencing greater job growth. Unless this location selection bias is accounted for, one might compare job growth in towns that gained Walmart stores versus those that did not and erroneously conclude that Walmart caused an expansion in employment. The authors of this study have devised a persuasive method of accounting for this bias. They also argue that the method developed by Basker (see next item below) to account for this bias is flawed and therefore her conclusion that Walmart has a small positive impact on retail employment is not reliable. “Job Creation or Destruction? Labor-Market Effects of Walmart Expansion.” Emek Basker (University of Missouri), Review of Economics & Statistics, Feb. 2005. 5. WAGES AND BENEFITS These studies show that locally owned businesses are linked to higher income growth and lower levels of poverty, while big-box retailers, particularly Walmart, depresses wages and benefits for retail employees. Studies in this section also quantify the costs of these big companies’ low wages to state healthcare programs and other forms of public assistance. In addition to the following studies, see this resource from Good Jobs First detailing states that have disclosed how much they spend providing health insurance for employees of Walmart, Home Depot, Target, and other big-box retailers. “Locally owned: Do local business ownership and size matter for local economic well-being?” [PDF]. Anil Rupasingha, Federal Reserve Bank of Atlanta, Aug. 2013. In this analysis, an economist with the Federal Reserve Bank of Atlanta examines the relationship between locally owned businesses and economic performance, and finds that counties with higher percentages of employment in locally based, small businesses have stronger local economies. Using data on every U.S. county in the period between 2000 and 2008, Rupasingha finds that local entrepreneurship has a positive effect on county per capita income growth and employment growth and a negative effect on poverty rates. He also finds that this effect of local ownership is more pronounced in the case of businesses that are also small, defined as those with fewer than 100 employees. Rupasingha’s dataset also reveals that locally owned, or “resident,” businesses employ a far greater number of people than non-resident establishments across every size category of business. “Employers Who Had Fifty or More Employees Using MassHealth, Commonwealth Care, or the Health Safety Net in State Fiscal Year 2010” [PDF]. Commonwealth of Massachusetts, February 2013. This report from the state of Massachusetts discloses the 50 companies that have the most employees enrolled in the state’s Medicaid and other publicly funded health insurance programs for low-income people. About half of the 50 companies identified are retail and restaurant chains. Walmart ranks third overall, with 4,327 employees, approximately one-fifth of its Massachusetts workforce, relying on state health care assistance at a cost to taxpayers of $14.6 million per year. Target ranks fourth with 2,610 employees enrolled, approximately 36 percent of its Massachusetts workforce, at a cost of $8.3 million per year. Other retailers on the list include CVS, Shaw’s, Home Depot, May Department Stores, Sears, Kohl’s, Walgreen, Lowe’s, Best Buy, and Whole Foods. Also see similar reports released in 2013 from Wisconsin and Missouri [PDF]. “Walmart’s Low Wages and Their Effect on Taxpayers and Economic Growth” [PDF]. Democratic Staff, U.S. House Committee on Education and the Workforce, May 2013. Extrapolating from data released by the state of Wisconsin on the number of Walmart employees and their dependents enrolled in the state’s Medicaid program, this analysis estimates that Walmart employees require an average of about $3,000 per year in public assistance, such as Medicaid, food stamps, and housing assistance. That works out to a taxpayer cost of about $4.2 billion per year for all of Walmart’s U.S. stores. Covering that cost would require Walmart to forgo about one-quarter of its profits or raise prices at its U.S. stores by 1-2 percent. “Does Local Firm Ownership Matter?” Stephan Goetz and David Fleming, Economic Development Quarterly, April 2011. Goetz and Fleming analyze 2,953 counties, including both rural and urban places, and find that, after controlling for other factors that influence growth, those with a larger density of small, locally owned businesses experienced greater per capita income growth between 2000 and 2007. The presence of large, non-local businesses, meanwhile, had a negative effect on incomes. “A Downward Push: The Impact of Walmart Stores on Retail Wages and Benefits” [PDF]. Arindrajit Dube, T. William Lester, and Barry Eidlin, UC Berkeley Center for Labor Research and Education, Dec. 2007. This study analyzes the impact of the opening of Walmart stores on the earnings of retail workers. (It uses a similar technique to account for possible biases in Walmart’s store location decisions as the study described in the “Jobs” section above, “The Effects of Walmart on Local Labor Markets.”) This study focuses on stores that opened between 1992 and 2000 and concludes, “Opening a single Walmart store lowers the average retail wage in the surrounding county between 0.5 and 0.9 percent.” Not only did Walmart lower average wage rates, but “every new Walmart in a county reduced the combined or aggregate earnings of retail workers by around 1.5 percent.” Because this number is higher than the reduction in average wages, it indicates that Walmart not only lowered pay rates, but also reduced the total number of retail jobs. The study goes on to look at the cumulative impact of Walmart store openings on retail earnings at the state level and nationwide. “At the national level, our study concludes that in 2000, total earnings of retail workers nationwide were reduced by $4.5 billion due to Walmart’s presence,” the researchers find. Most of these losses were concentrated in metropolitan areas. Although Walmart is often associated with rural areas, three-quarters of the stores it built in the 1990s were in metropolitan counties. “Walmart and County-Wide Poverty.” Stephan Goetz and Hema Swaminathan, Social Science Quarterly, June 2006. The presence of a Walmart store hinders a community’s ability to move families out of poverty, according to this study. After controlling for other factors that influence poverty rates, the study found that U.S. counties that had more Walmart stores in 1987 had a higher poverty rate in 1999 than did counties that started the period with fewer or no Walmart stores. The study also found that counties that added Walmart stores between 1987 and 1998 experienced higher poverty rates and greater usage of food stamps than counties where Walmart did not build, all other things being equal. Although the study does not attempt to draw a conclusion about why Walmart expands poverty, the study’s authors suggest several possible factors, including a loss of social capital that occurs when locally owned businesses close and the shift from comparatively better paying jobs at independent retailers to lower paying jobs at Walmart. “Hidden Cost of Walmart Jobs” [PDF]. UC Berkeley’s Institute for Industrial Relations, August 2004. California taxpayers are spending $86 million a year providing healthcare and other public assistance to the state’s 44,000 Walmart employees, according to this study. The average Walmart worker requires $730 in taxpayer-funded healthcare and $1,222 in other forms of assistance, such as food stamps and subsidized housing. Even compared to other retailers, Walmart imposes an especially large burden on taxpayers. Walmart workers earn 31 percent less than the average for workers at large retail companies and require 39 percent more in public assistance. The study estimates that if competing supermarkets and other large retailers adopt Walmart’s wage and benefit levels, it will cost California’s taxpayers an additional $410 million a year in public assistance. 6. SOCIAL CAPITAL AND WELL-BEING These studies find that a community’s level of social capital, civic engagement, and well-being is positively related to the share of its economy held by local businesses, while the presence of mega-retailers like Walmart undermines social capital and civic participation. See this ILSR article for more background. “Small, Local, and Loyal: How Firm Attributes Affect Workers’ Organizational Commitment.” Katie L. Halbesleben and Charles M. Tolbert, Local Economy, Oct. 2014. “College Graduates, Local Retailers, and Community Belonging in the United States.” Samuel Stroope, Aaron B. Franzen, Charles M. Tolbert, and F. Carson Mencken, Sociological Spectrum, Feb. 2014. “Rolling Back Prices and Raising Crime Rates? The Walmart Effect on Crime in the United States” [PDF]. Scott E. Wolfe and David C. Pyrooz, The British Journal of Criminology, Jan. 2014. “The Health and Wealth of US Counties: How the Small Business Environment Impacts Alternative Measures of Development.” Troy C. Blanchard, Charles Tolbert, and Carson Mencken, Cambridge Journal of Regions, Economy, and Society, 2011. This is one of several studies that have drawn a link between an economy of small-scale businesses and improved community well-being, including lower rates of crime and better public health. “Counties with a vibrant small-business sector have lower rates of mortality and a lower prevalence of obesity and diabetes” compared to places dominated by big firms, the authors conclude. They surmise that a high degree of local ownership improves a community’s “collective efficacy” — the capacity of its residents to act together for mutual benefit. Previous research has linked collective efficacy to population health, finding that engaged communities tend to create the kinds of infrastructure that foster healthier choices. “Street Survey of Business Reopenings in Post-Katrina New Orleans” [PDF]. Richard Campanella, Tulane University, Jan. 2007. To understand how businesses respond to catastrophe, Campanella, a geographer at Tulane, surveyed 16 miles of three major commercial arteries in New Orleans for the 15 months after Hurricane Katrina. He found that national chains were much slower to reopen than locally owned businesses. Almost half of locally owned businesses reopened within a month, compared to one-quarter of chains. 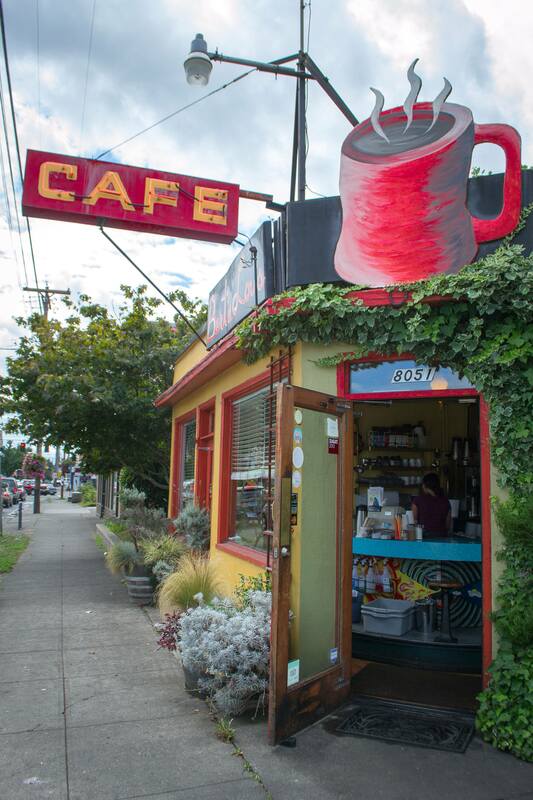 After 15 months, 75 percent of locally owned businesses had reopened, compared to only 59 percent of national chains. By reopening promptly, locally owned businesses helped neighborhoods recover by providing goods and services, as well as creating community gathering spots for residents to commiserate and find mutual aid. “Walmart and Social Capital” [PDF]. Stephan J. Goetz and Anil Rupasingha, American Journal of Agricultural Economics, Dec. 2006. The presence of a Walmart store reduces a community’s level of social capital, this study found. The study examined communities that had or gained Walmart stores in the 1990s and controlled for other variables known to affect social capital stocks in a community, such as educational attainment. “Both the initial number of [Walmart] stores and each store added per 10,000 persons during the decade reduced the overall social capital measure,” Goetz and Rupasingha found. Communities that gained a Walmart had fewer non-profit groups and social capital-generating associations (such as churches, political organizations, and business groups) per capita than those that did not. Walmart’s presence also depressed civic participation and is associated with lower voter turnout in the 2000 presidential election. Goetz and Rupasingha hypothesize that the drop in social capital is owned to the disappearance of local businesses and the decline of the downtown following Walmart’s arrival. “The Configuration of Local Economic Power and Civic Participation in the Global Economy.” Troy Blanchard and Todd L. Matthews, Social Forces, June 2006. This study finds that residents of communities with highly concentrated economies tend to vote less and are less likely to keep up with local affairs, participate in community organizations, engage in reform efforts or participate in protest activities at the same levels as their counterparts in communities with dispersed economies composed predominantly of locally owned small businesses. 7. PUBLIC SUBSIDIES These studies document the massive public subsidies that have overwhelmingly favor big businesses and have financed their expansion, and how this subsidized development has failed to produce real economic benefits for communities. “Shortchanging Small Business: How Big Businesses Dominate State Economic Development Incentives.” Greg LeRoy, Carolyn Fryberger, et. al., Good Jobs First, Oct. 2015. Giving strong empirical support to long-time fairness arguments, this report looks at state economic development programs that purport to be open to businesses of any size, and finds that they in fact overwhelmingly favor large companies. For the study, Good Jobs First examined 4,200 economic development incentives awarded through programs in 14 states, and found that of a $3.2 billion total pot, 90 percent went to large firms, defined as those with 100 or more employees or 10 or more locations. In some states, that figure climbed as high as 96 percent. In its recommendations for reform, Good Jobs First urges states not to simply reallocate subsidy dollars to small businesses, and instead to tighten their rules to exclude the largest companies from these giveaways and institute dollar caps per deal and per company. With the savings, the recommendations continue, states should invest in expanding credit access for small businesses and in the types of broad public goods, like transportation and job training, that benefit all employers. The report is the second in a series of three on economic development subsidies, and builds on an earlier report, “In Search of a Level Playing Field,” that surveyed leaders of small business organizations and found that they overwhelmingly agree that their states’ economic development incentives favor big businesses at the expense of small firms looking to grow. “Tax Breaks and Inequality: Enriching Billionaires and Low-Road Employers in the Name of Economic Development.” Philip Mattera, Kasia Tarczynska, and Greg LeRoy, Good Jobs First, Dec. 2014. “Subsidizing the Corporate One Percent: Subsidy Tracker 2.0 Reveals Big-Business Dominance of State and Local Development Incentives.” Philip Mattera, Good Jobs First, Feb. 2014. This analysis of Good Jobs First’s Subsidy Tracker database examines the share of total state and local economic development awards that have been granted to major corporations, and finds that the subsidies are heavily concentrated among big business. “We estimate that at least 75 percent of cumulative disclosed subsidy dollars have gone to just 965 large corporations,” the report states. It also finds that Walmart is near the top of the list for companies that have received the largest number of awards, with 261 individual subsidies. “An Assessment of the Effectiveness and Fiscal Impacts of the Use of Local Development Incentives in the St. Louis Region.” East-West Gateway Council of Governments, January 2011. This study finds that over the last 20 years local governments in the metropolitan St. Louis region have diverted more than $5.8 billion in public tax dollars to subsidize private development. About 80 percent of these subsidies supported the construction of big-box stores and shopping malls, mostly in affluent suburbs. Despite this large public expenditure, the region has seen virtually no economic growth. “The number of retail jobs has increased only slightly and, in real dollars, retail sales or per capita have not increased in years,” the authors conclude. The subsidies have almost exclusively benefitted large chains, the study finds, and the region’s retail sector has grown increasingly concentrated. More than 600 small retailers (under 10 employees) have closed in the last ten years. “Both municipal finance and quality of life suffer when a city loses its base of small retail establishments,” the study notes. While some municipalities have seen gains in revenue as a result of luring retail development, these gains have come entirely at the expense of neighboring municipalities. Today, most of the region’s local governments are in financial trouble. “A significant number of municipalities faced budget deficits, lay-offs and service cuts between 2000 and 2007, even though that was a period of time when the economy had generally fared well,” the study finds. “Fishing for Taxpayer Cash” [PDF]. Andrew Stecker and Kevin Conner, Public Accountability Initiative, June 2010. This report documents how Bass Pro, an outdoor sporting goods chain, has won over $500 million dollars in taxpayer subsidies from cities and states by promising jobs, tourism and growth. But as this report shows, in city after city, Bass Pro has failed to deliver on its promises. In Mesa, AZ, for example, taxpayers put up $84 million for a development anchored by Bass Pro, but a year after opening the project was described as a “ghost town” that had done little more than undermine the viability of other retail areas. A taxpayer-subsidized Bass Pro in Harrisburg, PA, meanwhile, created only one-third of the jobs promised. 8. TAXES Building on the studies included in the previous category, “Public Costs,” these studies examine the different impacts of locally owned businesses and big-box retailers on public budgets. They find that large retailers systemically tilt the playing field in their favor by skirting their tax obligations, as well as that locally owned enterprises generate more tax revenue for cities, with less cost, than sprawling big-box shopping centers. “Thinking Differently About Development.” Joe Minicozzi, Government Finance Review, Aug. 2013. While the economic development policies of many municipalities and counties favor sprawling projects, this analysis draws on data from more than 30 jurisdictions across 10 states to show that regardless of their size, municipalities receive a greater level of tax revenue from dense, walkable, mixed use urban development. Minicozzi assesses land use on a “per acre” measurement of its tax revenue generation, just as one would judge the efficiency of a car on a “per gallon” basis, and calculates that while a county earns just $7.11 in property taxes per acre on a typical big-box retail store, it earns $287.55 per acre on a mixed-use, mid-rise Main Street-style business district. “Research shows that regardless of the size of the municipality, its most potent tax-generating areas are its downtown or Main Street,” Minicozzi concludes. In another example, Minicozzi compares two prospective multi-family unit developments in Sarasota County, Fla., in 2009, and finds that, after factoring in land consumed, public facility costs, annual county tax yield, and taxes generated, the county loses $5 million on the suburban development over a 20-year period, while it profits more than $20 million off the urban development over the same period. “Skimming the Sales Tax: How Walmart and Other Big Retailers (Legally) Keep a Cut of the Taxes We Pay on Everyday Purchases” [PDF]. Philip Mattera with Leigh McIlvaine, Good Jobs First, November 2008. This study highlights little-noticed laws in 26 states that allow retailers to keep a portion of the sales taxes they collect from shoppers. The stated purpose of these policies is to compensate retailers for the costs they incur collecting the tax. However, while half of these states cap the amount retailers can keep, the other 13 states have no cap. Because the cost of collecting sales taxes declines with volume, states without caps are providing big retailers with outsized compensation that bears little relationship to their actual costs. This practice is costing states over $1 billion a year and lining the pockets of large chains, notably Walmart. The report breaks down the losses for each state. Additionally, this study exposes how local governments subsidize the large chains by giving them sales tax rebates or funding part of their projects with sales tax increment financing. Using these two strategies, Walmart has received $130 million in sales tax diversion over the past decade. “Rolling Back Property Tax Payments: How Walmart Short-Changes Schools and other Public Services by Challenging Its Property Tax Assessments.” Philip Mattera, Karla Walter, Julie Farb Blain, and Colleen Ruddick, Good Jobs First, Oct. 2007. This first-ever investigation of Walmart’s local property tax records finds that the retail giant systematically seeks to minimize its payment of taxes that support public schools and other vital local government services. It includes online appendices with lists of stores and distribution centers examined. “Understanding the Fiscal Impacts of Land Use in Ohio” [PDF]. Randall Gross, Development Economics, August 2004. This report reviews and summarizes the findings of fiscal impact studies conducted in eight central Ohio communities between 1997 and 2003. In seven of the eight communities, retail development created a drain on municipal budgets (i.e., it required more in public services, such as road maintenance and police, than it generated in tax revenue). On average, retail buildings produced a net annual loss of $0.44 per square foot. “The concept that growth is always good for a community does not seem to correlate with the findings from various fiscal analyses conducted throughout central Ohio,” the report concludes. It cautions cities not to be taken in by the promise of high tax revenue from a new development without also considering the additional costs of providing services. Unlike retail, office and industrial development, as well as some types of residential, produced a net tax benefit. “Fiscal Impact Analysis of Residential and Nonresidential Land Use Prototypes.” Tischler & Associates, July 2002. Big-box retail, shopping centers, and fast-food restaurants cost taxpayers in Barnstable, Massachusetts, more than they produce in revenue, according to this analysis. The study compares the tax revenue generated by different kinds of residential and commercial development with the actual cost of providing public services for each land use. The study found that big box retail generates a net annual deficit of $468 per 1,000 square feet. Shopping centers likewise produce an annual drain of $314 per 1,000 square feet. By far the most costly are fast-food restaurants, which have a net annual cost of $5,168 per 1,000 square feet. In contrast, the study found that specialty retail, a category that includes small-scale Main Street businesses, has a positive impact on public revenue (i.e., it generates more tax revenue than it costs to service). Specialty retail produces a net annual return of $326 per 1,000 square feet. Other commercial land uses that are revenue winners include business parks, offices, and hotels. The two main factors behind the higher costs for big box stores, shopping centers, and fast-food outlets, compared to specialty retail shops, are higher road maintenance costs (due to a much greater number of car trips per 1,000 square feet) and greater demand for public safety services. “Understanding the Tax Base Consequences of Local Economic Development Program” [PDF]. RKG Associates, 1998. 9. EXISTING BUSINESSES These studies demonstrate how big-box retailers have significant negative effects on the number and vitality of nearby local businesses, in that they both lead to a loss of existing businesses, and contrary to the claims big-box retailers themselves often make, do not serve as a catalyst for new growth. “The Impact of an Urban Walmart Store on Area Businesses.” Julie Davis, David Merriman, Lucia Samayoa, Brian Flanagan, Ron Baiman, and Joe Persky, Economic Development Quarterly, Oct. 2012. The opening of a Walmart on the West Side of Chicago in 2006 led to the closure of about one-quarter of the businesses within a four-mile radius, according to this study by researchers at Loyola University. They tracked 306 businesses, checking their status before Walmart opened and one and two years after it opened. More than half were also surveyed by phone about employees, work hours, and wages. By the second year, 82 of the businesses had closed. Businesses within close proximity of Walmart had a 40 percent chance of closing. The probability of going out of business fell 6 percent with each mile away from Walmart. These closures eliminated the equivalent of 300 full-time jobs, about as many Walmart added to the area. Sales tax and employment data provided by the state of Illinois for Walmart’s zip code and surrounding zip codes confirmed that overall sales and employment in the neighborhood did not increase, but actually dipped from the trend line. Although Walmart claims its urban stores recapture dollars leaking to the suburbs, the findings of this study suggest that urban Walmart stores primarily displace sales from other city stores. “There is no evidence that Walmart sparked any significant net growth in economic activity or employment in the area,” the researchers conclude. The study also examines Walmart’s Job and Opportunity Zones initiative, which provided marketing for five local businesses, and found it largely ineffective. “Business Churn and the Retail Giant: Establishment Birth and Death from Walmart’s Entry.” Carlena Cochi Ficano, Social Science Quarterly, 2012. Within 15 months of a new Walmart store opening, between 4.4 and 14.2 existing retail establishments close, while at most 3.5 new retail establishments open, according to this study. The study’s methodology accounts for Walmart’s expansion strategy and controls for a variety of other economic and demographic factors likely to influence the birth or death of businesses. The author notes that, while the findings on store closures are robust, those on new store openings are not and should be interpreted cautiously. Also, the study only accounts for Walmart’s effect on businesses that have at least one employee and does not track the impact after the first 15 months. The results explain the seeming discrepancy in other studies finding that Walmart has a relatively modest effect on retail employment, but causes a substantial increase in poverty rates. This study suggests that Walmart triggers significant churn in the local labor market, with large numbers of people laid off, facing periods of unemployment followed by new jobs that may be only part-time or lower paying. “Mom-and-pop Meet Big-box: Complements Or Substitutes?” John Haltiwanger, Ron Jarmin, and C.J. Krizan, Journal of Urban Economics, 2010. In this study, economists John Haltiwanger, Ron Jarmin, and C.J. Krizan analyzed about 1,200 big-box store openings and looked at the impact on two sets of independent and small chain businesses in the vicinity: those competing directly with the new big box and those offering different products and services. For competing retailers, the study found “large, negative effects” on those within a 5-mile radius of the new big box, including a substantial number of store closures, and smaller but still significant impacts on those in a 5-10 mile radius. As for non-competing businesses, the study found that big-box stores generate no positive spillover. Nearby businesses offering other products and services neither increased their growth nor expanded in numbers after the big box opened. “Major Flaws Uncovered in Study Claiming Walmart Has Not Harmed Small Businesses” [PDF]. Stacy Mitchell, Institute for Local Self-Reliance, Dec. 2008. A new and widely publicized study, “Has Walmart Buried Mom and Pop?”, claims that there is no evidence that Walmart has had an overall negative impact on the small business sector. A close inspection of the study by the Institute for Local Self-Reliance, however, found major flaws. The authors failed to use the correct U. S. Census data when attempting to show that “mom and pop” businesses have not experienced a net decline over the past two decades. When the correct data set is used, it is clear that the small business sector is much less robust now than it once was, with the number of retail businesses with fewer than 10 employees declining by one-fifth from 1982-2002. This decrease is even more drastic when measured relative to the population. During the 20-year period, the number of retail firms with 1-4 employees per 1 million people fell by 38 percent and retail firms with 5-9 employees per 1 million people declined by 30 percent. “The Impact of ‘Big-Box’ Building Materials Stores on Host Towns and Surrounding Counties in a Midwestern State” [PDF]. Kenneth E. Stone and Georgeanne M. Artz, Iowa State University, 2001. This study examines several Iowa communities where big-box building supply stores, such as Menards and Home Depot, have opened in the last decade. Sales of hardware and building supplies in the host community and surrounding counties are tracked over several years to test what the authors call the “zero-sum-game theory,” namely that the retail sales gains generated by big-box stores are offset by sales losses at existing, often locally owned, retail stores. The results confirm the theory, finding that sales of hardware and building supplies grow in the host communities, but at the expense of sales in smaller towns nearby. Moreover, after a few years, many of the host communities experienced a reversal of fortune: sales of hardware and building supplies declined sharply, often dropping below their initial levels, as more big box stores opened in the surrounding region and saturated the market. “What Happened When Walmart Came to Town? A Report on Three Iowa Communities with a Statistical Analysis of Seven Iowa Counties.” Thomas Muller and Elizabeth Humstone, National Trust For Historic Preservation, 1996. “Competing with the Discount Mass Merchandisers” [PDF]. Kenneth Stone, Iowa State University, 1995. The basic premise of this study and others by Ken Stone is that the retail “pie” is relatively fixed in size, and grows only incrementally as population and incomes grow. Consequently, when a company like Walmart opens a giant store, it invariably captures a substantial slice of the retail pie, leaving smaller portions for existing businesses, which are then forced to downsize or close. This study of Walmart’s impact on Iowa towns found that the average superstore cost other merchants in the host town about $12 million a year in sales (as of 1995), while stores in smaller towns nearby also suffered substantial revenue losses. These sales losses resulted in the closure of 7,326 Iowa businesses between 1983 and 1993, including 555 grocery stores, 291 apparel stores, and 298 hardware stores. While towns that gained a Walmart store initially experienced a rise in overall retail sales, after the first two or three years, retail sales began to decline. 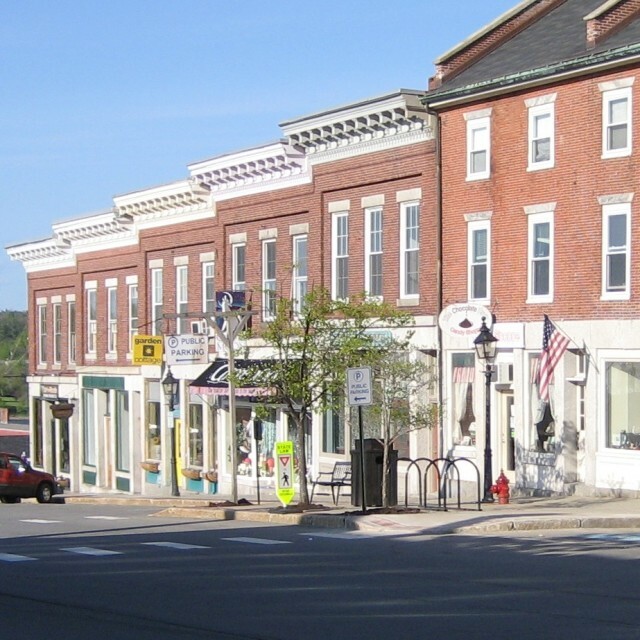 About one in four towns ending up with a lower level of retail activity than they had prior to Walmart’s arrival. Stone attributes this to Walmart’s strategy of saturating regions with multiple stores. 10. CONSUMERS AND PRICES These studies find that chains are not always a bargain. “Pharmacy Buying Guide.” Consumer Reports, Dec. 2015. “North Dakota’s Pharmacy Ownership Law: Ensuring Access, Competitive Prices, and Quality Care.” Olivia LaVecchia and Stacy Mitchell, Institute for Local Self-Reliance, Oct. 2014. This report finds that thanks to a forward-thinking state law that keeps ownership and control of pharmacies in the hands of local pharmacists, instead of large chains, North Dakota’s prescription drug prices are among the lowest in the country. Over the most recent five-year period, North Dakota ranked 13th in lowest prescription drug prices among the 50 states, and compared with South Dakota, the average prescription price is not only lower, but has increased much more slowly over the last five years. The report also finds that North Dakotans experience an unparalleled level of pharmacy access and care. “Wrestling with Walmart: Tradeoffs Between Profits, Prices, and Wages.” Jared Bernstein, Josh Bivens, and Arindrajit Dube, Economic Policy Institute, June 15, 2006. Rumor I’ve heard and would like some facts about: Wal-Mart stiffs its suppliers as well as its employees. They may purchase a block of goods, sell some of it (probably enough to cover their expenditure) and then send the rest back, claiming that it is inferior and demand a refund. As I say, I’d like to know whether this is, or was, true. If it is true, then just another reason for keeping this company out of Oregon or anywhere else. Why did Cornelius let them build there? They already had one of the best Fred Meyers stores in the whole greater Portland area, and most of the time it was quieter than a library. How could another big store be justified, either by the city fathers or by Wal-Mart itself? I am finding that the big stores are progressively phasing out a lot of products that I happen to like, ostensibly because these products aren’t turning over fast enough. A big store ought to have the shelf space for all products, from the things everybody uses all the time, down to the specialty products a few use less often. Another things is that it would appear that the diverse variety of national and even local brands are being gradually replaced by store-label brands. It leaves only restricted choice. For example, frozen peas: I know from having worked in a cannery years ago that Birdseye has the canneries run the belts slower so that more extraneous matter such as bird poop, sticks, dead insects, rotten peas and the like can be removed, and that they also run extra quality controls and lab analyses. Store brands are packed by who know who or where, and while most of the public doesn’t know and therefore doesn’t give a fig, those in the know want the quality brands. I didn’t intend this to become a tirade, butbig box stores and mega-store like Mal-Wart don’t offer much except Big Ag for food and Big China for everything else. I’d be glad to help keep this bane out of Oregon. Meanwhile, I’m off to the farmers market to spend my last dime on fresh, hands-on food. Local Community - Spartan Landscaping LLC -Madison/Southern Wisconsin! local is lovely. | mis[s]adventures of a barefooted farmer. Just BEE Wellness » Balanced, Energized, Empowered » From Bicycle Commuters to Buying Local – I Saw Wellness in Action in Portland, OR!